Citation Information: JCI Insight. 2017;2(21):e91709. https://doi.org/10.1172/jci.insight.91709. The microbiome affects development and activity of the immune system, and may modulate immune therapies, but there is little direct information about this control in vivo. We studied how the microbiome affects regulation of human immune cells in humanized mice. When humanized mice were treated with a cocktail of 4 antibiotics, there was an increase in the frequency of effector T cells in the gut wall, circulating levels of IFN-γ, and appearance of anti-nuclear antibodies. Teplizumab, a non–FcR-binding anti-CD3ε antibody, no longer delayed xenograft rejection. An increase in CD8+ central memory cells and IL-10, markers of efficacy of teplizumab, were not induced. IL-10 levels were only decreased when the mice were treated with all 4 but not individual antibiotics. Antibiotic treatment affected CD11b+CD11c+ cells, which produced less IL-10 and IL-27, and showed increased expression of CD86 and activation of T cells when cocultured with T cells and teplizumab. Soluble products in the pellets appeared to be responsible for the reduced IL-27 expression in DCs. Similar changes in IL-10 induction were seen when human peripheral blood mononuclear cells were cultured with human stool samples. We conclude that changes in the microbiome may impact the efficacy of immunosuppressive medications by altering immune regulatory pathways. Citation Information: JCI Insight. 2017;2(21):e93306. 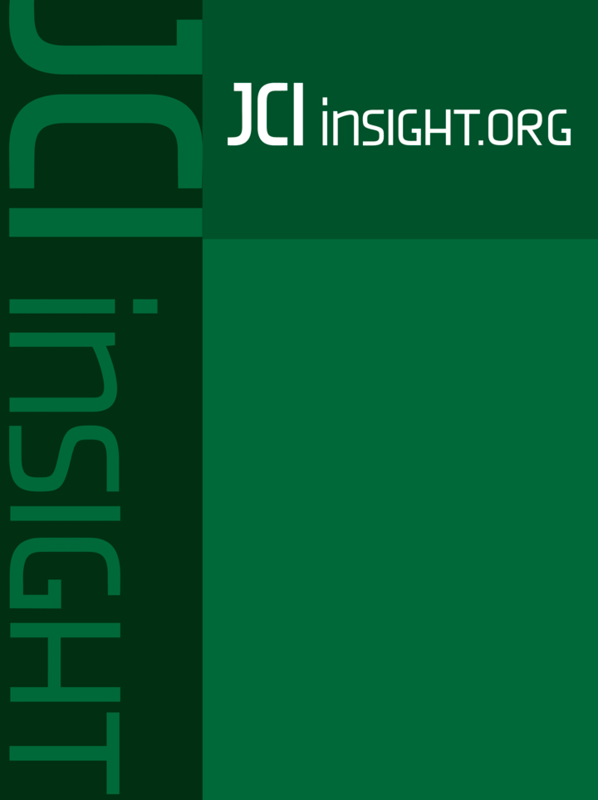 https://doi.org/10.1172/jci.insight.93306. Citation Information: JCI Insight. 2017;2(21):e94296. https://doi.org/10.1172/jci.insight.94296. The complex signaling networks of the tumor microenvironment that facilitate tumor growth and progression toward metastatic disease are becoming a focus of potential therapeutic options. The chemokine IL-8 is overexpressed in multiple cancer types, including triple-negative breast cancer (TNBC), where it promotes the acquisition of mesenchymal features, stemness, resistance to therapies, and the recruitment of immune-suppressive cells to the tumor site. The present study explores the utility of a clinical-stage monoclonal antibody that neutralizes IL-8 (HuMax-IL8) as a potential therapeutic option for TNBC. HuMax-IL8 was shown to revert mesenchymalization in claudin-low TNBC models both in vitro and in vivo as well as to significantly decrease the recruitment of polymorphonuclear myeloid-derived suppressor cells (PMN-MDSCs) at the tumor site, an effect substantiated when used in combination with docetaxel. In addition, HuMax-IL8 enhanced the susceptibility of claudin-low breast cancer cells to immune-mediated lysis with NK and antigen-specific T cells in vitro. These results demonstrate the multifaceted way in which neutralizing this single chemokine reverts mesenchymalization, decreases recruitment of MDSCs at the tumor site, assists in immune-mediated killing, and forms the rationale for using HuMax-IL8 in combination with chemotherapy or immune-based therapies for the treatment of TNBC. Citation Information: JCI Insight. 2017;2(21):e94929. https://doi.org/10.1172/jci.insight.94929. Phospholipase A2 (PLA2) enzymes regulate the formation of eicosanoids and lysophospholipids that contribute to allergic airway inflammation. Secreted PLA2 group X (sPLA2-X) was recently found to be increased in the airways of asthmatics and is highly expressed in airway epithelial cells and macrophages. In the current study, we show that allergen exposure increases sPLA2-X in humans and in mice, and that global deletion of Pla2g10 results in a marked reduction in airway hyperresponsiveness (AHR), eosinophil and T cell trafficking to the airways, airway occlusion, generation of type-2 cytokines by antigen-stimulated leukocytes, and antigen-specific immunoglobulins. Further, we found that Pla2g10–/– mice had reduced IL-33 levels in BALF, fewer type-2 innate lymphoid cells (ILC2s) in the lung, less IL-33–induced IL-13 expression in mast cells, and a marked reduction in both the number of newly recruited macrophages and the M2 polarization of these macrophages in the lung. These results indicate that sPLA2-X serves as a central regulator of both innate and adaptive immune response to proteolytic allergen. Citation Information: JCI Insight. 2017;2(21):e96034. https://doi.org/10.1172/jci.insight.96034. Neurogenic heterotopic ossification (NHO) is the formation of ectopic bone generally in muscles surrounding joints following spinal cord or brain injury. We investigated the mechanisms of NHO formation in 64 patients and a mouse model of spinal cord injury–induced NHO. We show that marrow from human NHOs contains hematopoietic stem cell (HSC) niches, in which mesenchymal stromal cells (MSCs) and endothelial cells provide an environment supporting HSC maintenance, proliferation, and differentiation. The transcriptomic signature of MSCs from NHOs shows a neuronal imprinting associated with a molecular network required for HSC support. We demonstrate that oncostatin M (OSM) produced by activated macrophages promotes osteoblastic differentiation and mineralization of human muscle-derived stromal cells surrounding NHOs. The key role of OSM was confirmed using an experimental model of NHO in mice defective for the OSM receptor (OSMR). Our results provide strong evidence that macrophages contribute to NHO formation through the osteogenic action of OSM on muscle cells within an inflammatory context and suggest that OSM/OSMR could be a suitable therapeutic target. Altogether, the evidence of HSCs in ectopic bones growing at the expense of soft tissue in spinal cord/brain-injured patients indicates that inflammation and muscle contribute to HSC regulation by the brain-bone-blood triad. Citation Information: JCI Insight. 2017;2(21):e96094. https://doi.org/10.1172/jci.insight.96094. Accumulation of lipid droplets and inflammatory cell infiltration is the hallmark of nonalcoholic steatohepatitis (NASH). The roles of noncoding RNAs in NASH are less known. We aim to elucidate the function of miR-141/200c in diet-induced NASH. WT and miR-141/200c–/– mice were fed a methionine and choline deficient (MCD) diet for 2 weeks to assess markers of steatosis, liver injury, and inflammation. Hepatic miR-141 and miR-200c RNA levels were highly induced in human patients with NASH fatty liver and in WT MCD mice. miR-141/200c–/– MCD mice had reduced liver weights and triglyceride (TG) levels, which was associated with increased microsomal TG transfer protein (MTTP) and PPARα but reduced SREBP1c and FAS expression. Inflammation was attenuated and F4/80 macrophage activation was suppressed in miR-141/200c–/– mice, as evidenced by decreased serum aminotransferases and IL-6 and reduced hepatic proinflammatory, neutrophil, and profibrotic genes. Treatment with LPS in BM-derived macrophages isolated from miR-200c/141–/– mice polarized macrophages toward the M2 antiinflammatory state by increasing Arg1 and IL-10 levels while decreasing the M1 marker iNOS. In addition, elevated phosphorylated AMPK (p-AMPK), p-AKT, and p-GSK3β and diminished TLR4 and p-mTOR/p-4EBP1 proteins were observed. Lipidomics and metabolomics revealed alterations of TG and phosphatidylcholine (PC) lipid species by miR-141/200c deficiency. In summary, miR-141/200c deficiency diminished NASH-associated hepatic steatosis and inflammation by reprogramming lipid and inflammation signaling pathways. Citation Information: JCI Insight. 2017;2(21):e96381. https://doi.org/10.1172/jci.insight.96381. The development of a highly effective vaccine remains a key strategic goal to aid the control and eventual eradication of Plasmodium falciparum malaria. In recent years, the reticulocyte-binding protein homolog 5 (RH5) has emerged as the most promising blood-stage P. falciparum candidate antigen to date, capable of conferring protection against stringent challenge in Aotus monkeys. We report on the first clinical trial to our knowledge to assess the RH5 antigen — a dose-escalation phase Ia study in 24 healthy, malaria-naive adult volunteers. We utilized established viral vectors, the replication-deficient chimpanzee adenovirus serotype 63 (ChAd63), and the attenuated orthopoxvirus modified vaccinia virus Ankara (MVA), encoding RH5 from the 3D7 clone of P. falciparum. Vaccines were administered i.m. in a heterologous prime-boost regimen using an 8-week interval and were well tolerated. Vaccine-induced anti-RH5 serum antibodies exhibited cross-strain functional growth inhibition activity (GIA) in vitro, targeted linear and conformational epitopes within RH5, and inhibited key interactions within the RH5 invasion complex. This is the first time to our knowledge that substantial RH5-specific responses have been induced by immunization in humans, with levels greatly exceeding the serum antibody responses observed in African adults following years of natural malaria exposure. These data support the progression of RH5-based vaccines to human efficacy testing. Citation Information: JCI Insight. 2017;2(21):e97071. https://doi.org/10.1172/jci.insight.97071. Advanced basal cell carcinomas (BCCs) circumvent Smoothened (SMO) inhibition by activating GLI transcription factors to sustain the high levels of Hedgehog (HH) signaling required for their survival. Unfortunately, there is a lack of efficacious therapies. We performed a gene expression–based drug repositioning screen in silico and identified the FDA-approved histone deacetylase (HDAC) inhibitor, vorinostat, as a top therapeutic candidate. We show that vorinostat only inhibits proliferation of BCC cells in vitro and BCC allografts in vivo at high dose, limiting its usefulness as a monotherapy. We leveraged this in silico approach to identify drug combinations that increase the therapeutic window of vorinostat and identified atypical PKC Ɩ/ʎ (aPKC) as a HDAC costimulator of HH signaling. We found that aPKC promotes GLI1-HDAC1 association in vitro, linking two positive feedback loops. Combination targeting of HDAC1 and aPKC robustly inhibited GLI1, lowering drug doses needed in vitro, in vivo, and ex vivo in patient-derived BCC explants. We identified a bioavailable and selective small-molecule aPKC inhibitor, bringing the pharmacological blockade of aPKC and HDAC1 into the realm of clinical possibility. Our findings provide a compelling rationale and candidate drugs for combined targeting of HDAC1 and aPKC in HH-dependent cancers. Citation Information: JCI Insight. 2017;2(21):e91599. https://doi.org/10.1172/jci.insight.91599.